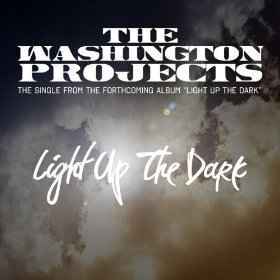 The Washington Projects, formerly of the Word/Warner Brothers recording group SoulJahz, who took the industry by storm in the early 2000s, is the brother/sister duo Jekob & Rachael Washington . 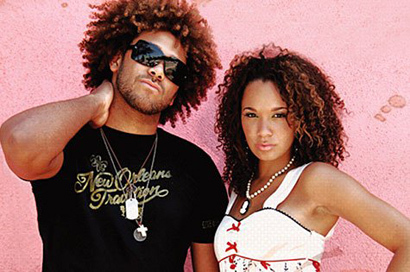 Their music merges insightful hip-hop, stimulating soul, moving R&B, old school funk and pure bred pop. 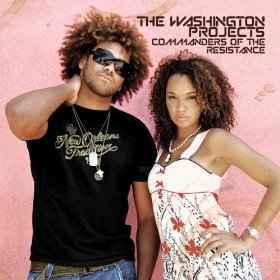 The twosome unveiled their debut album, Commanders of the Resistance, October 9th 2008 through independent record company, Black & White Label. Jekob tells a little more about the album: “This record is incredibly real. It is our hearts over the last four years, poured out in the form of music. We speak of love, hope, happiness and the trials and tribulations we’ve experienced in our lives, not only as a group, but individually as well. Each song on this record has a distinct meaning with our lives. The youth of the world, and even the music industry – Christians and non – need honesty. No matter what the audience, Commanders of the Resistance connects with class and cohesion on all levels, while reaffirming the passions of its extraordinarily gifted players. The video for “Take it to the Streets” remained at #1 on the Gospel Music Channel for five weeks and the “You Are My World” video is currently in rotation and holding the #3 spot overall, #1 in the Soul Category. In addition to releasing their debut CD, The Washington Project hit the road as a featured artist on the Dare2Share “Survive” Training Conferences, alongside Hawk Nelson, Sanctus Real, Stellar Kart, Lincoln Brewster and speakers Greg Steir, Derwin “Dewey” Gray and Zane Black and went out on a USO Europe/Mediterranean Tour to support the troops. 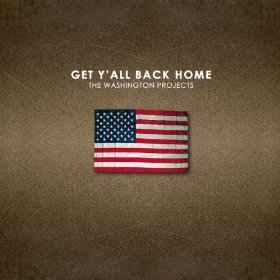 Following the success of their debut release The Washington Projects released their Christmas EP. The six-song release features three original songs, “Stay A While”, “Thank You For Christmas” and “This Christmas” as well as three instrumental tracks. 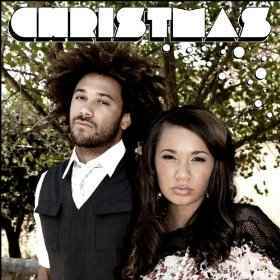 The EP showcases the vocal talents of the brother and sister duo, Jekob and Rachael Washington with a solo performance by Jekob on “This Christmas”, a song written for his wife, and Rachael performs solo on “Stay A While”. "Christmas has always been our favorite holiday and season, from what it represents to how it makes us feel," Jekob and Rachael explain. "We bump Christmas jams and literally celebrate it all year round so it was only a matter of time before we cranked out some warm and fuzzy goodness for our listeners."